Have been very busy the last couple of days and this heat is killing me! I’m just off to London to hang out with my good friend Keyvan, and hopefully to go to big stop the war demo. I wish they would just hurry up and implement a culture of peace already. I should think most people probably quite like peace apart from arms manufactures. Had a lovely dinner with my good friends Will, Ella and Joe last night; they very bravely ate my cooking without complaining. We ate lots of fruit for desert, which was good because I can’t really damage fruit unless I cook it! This entry was posted Friday, July 21st, 2006 at 10:06 am	and is filed under Uncategorized. You can leave a response, or trackback from your own site. It was a very lovely dinner, and sorry for eating all your fruit! 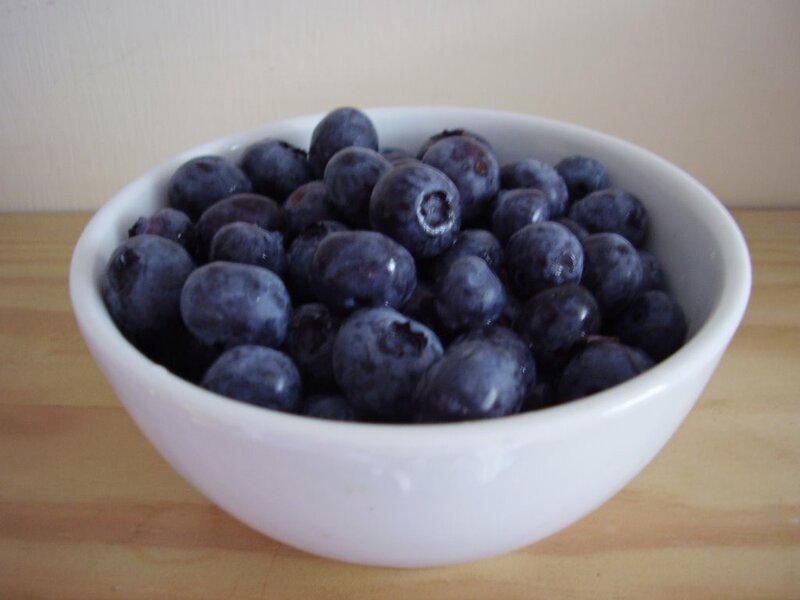 Hmmm…those blueberries look yummy…..